The Pirastro 410321 Wondertone Solo Violin D String offers an attentive sound for the modern musician. The synthetic gut core is made from multifilament fibre to produce warm, clear tones. The silver winding adds depth and clarity to the bass frequencies, as well as having a comfortable feel. The medium gauge tension has an ideal balance between versatility and smooth playability. This string is designed for full size violins and features a ball tailpiece end. The Wondertone series of strings let each musician showcase their individual style. The multifilament fibre core is Pirastro’s premium grade synthetic material, and has been developed to offer the most dynamic sound with expressive feel. 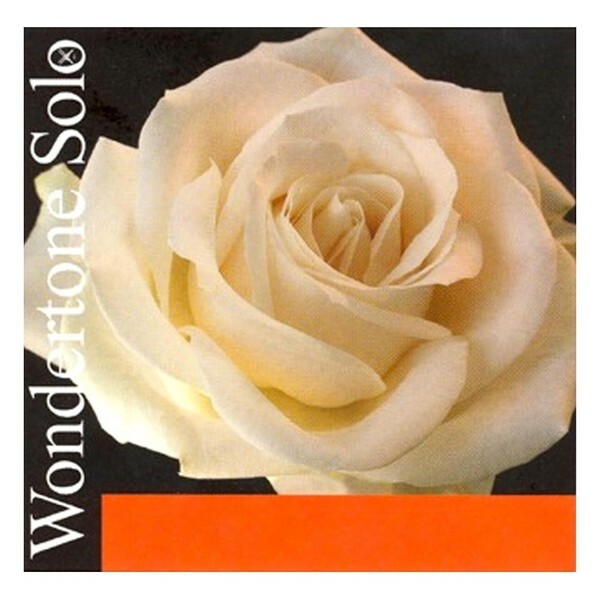 The Wondertone strings are sensitive, so they can access a whole palette of tones just from the way you play them. This means that whilst they sound diverse, they’re more suitable for advanced musicians who have a naturally refined and consistent action. The aluminium and silver windings compliment each string for a diverse overall tone and comfortable feel. The Wondertone series is ideal for players looking to pronounce their developed voice and technique.